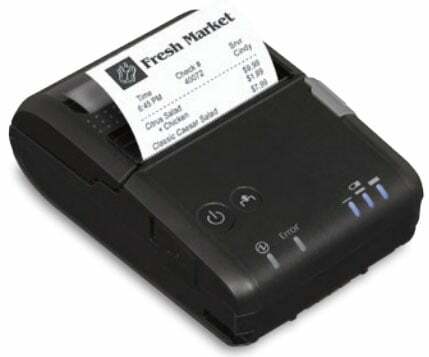 Epson has announced its smallest and lightest mobile printer to date, the ultra-compact Mobilink P20 for 2” receipts. Weighing in at just one-half pound, it is small enough to fit in the palm of your hand and offers best-in-class print speeds and battery life, along with flexible connectivity options and fast near field communication (NFC) pairing. The Mobilink P20 is designed with Epson’s ePOS-Print technology, which enables direct printing from any device running Apple iOS, Android or Windows operating systems. Ideally suited for mobile printing in retail and hospitality applications such as line busting, tableside service and on-the-go receipt printing, the Mobilink P20 is compatible with all of today’s best-of-breed POS systems and the latest industry-standard wireless security protocols.